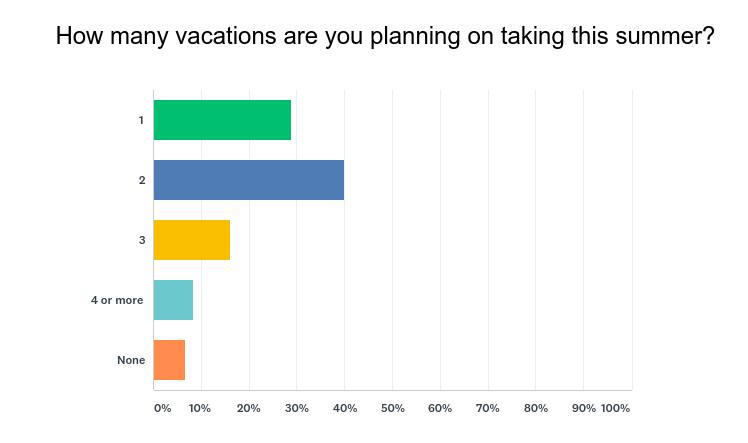 The majority (40%) of our respondents stated they were planning on taking 2 vacations, (28%) said they were taking 1, and a lucky (24%) said they were taking 3 or more. 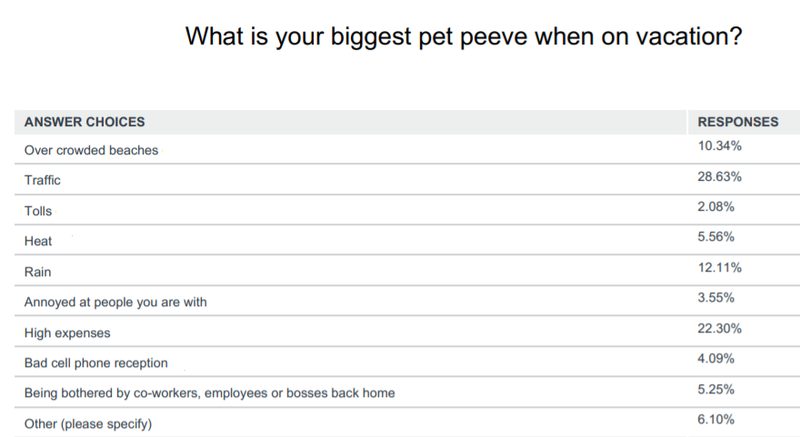 While Ocean City remains a popular destination, Deep Creek Lake on the other side of the state got less love with only (7%) of respondents planning on going there this year. Out of state destinations such as Florida were popular choices and only (7%) said they were not going anywhere. How are people spending their vacation time when they do get to these destinations? 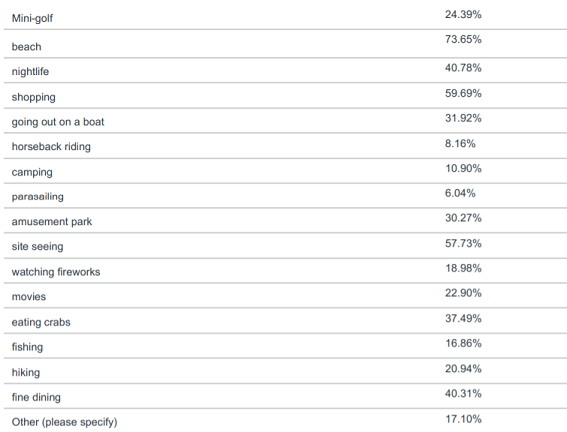 Not surprisingly over (70%) of respondents said they were going to be hanging out at the beach. Shopping and site seeing were also popular activities. 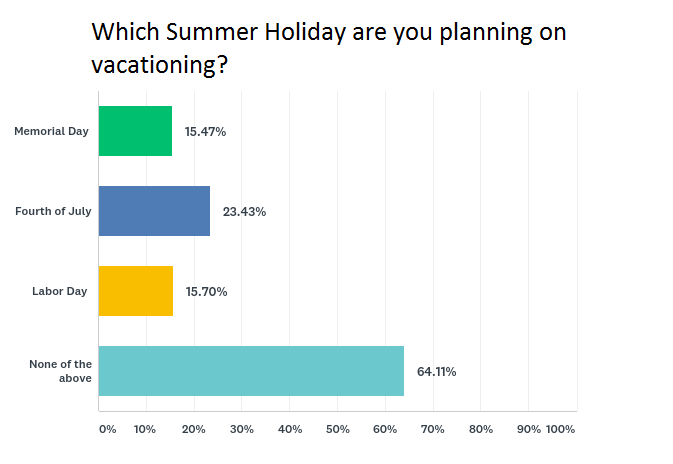 What is the most popular summer holiday to take a vacation? 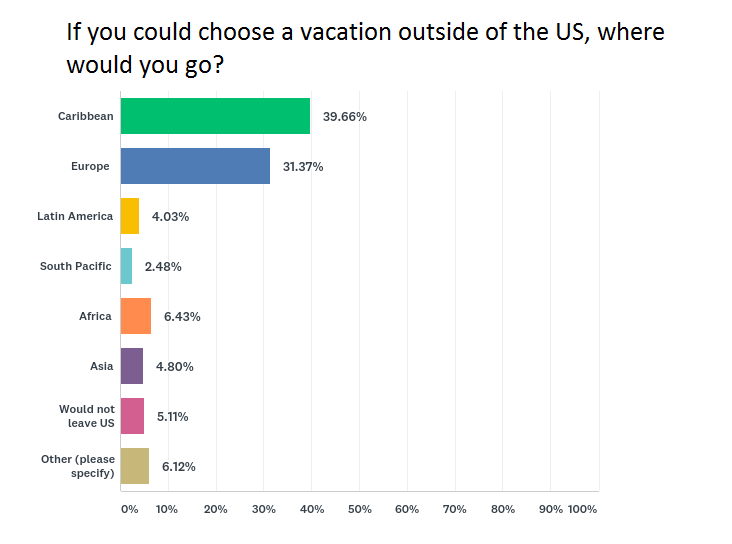 While Fourth of July was the most popular summer holiday to go on vacation (64%) said they weren’t going on vacation during any of the summer holidays; which led us to our next question. This entry was posted on Wednesday, May 2nd, 2018 at 3:27 pm. Both comments and pings are currently closed.